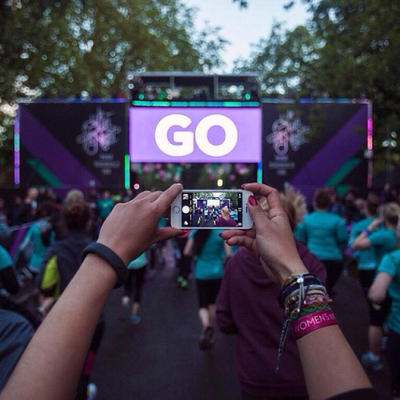 Saturday night, while most Londoners were cozy on their sofas, hiding from the pouring rain and whipping wind, 10,000 women took to Victoria Park for Nike’s We Own the Night 10k run. This was the second year for Nike's event, and this year, a handful of women from W+K’s Run Club were there to represent and take part in what was, for some, their first 10k. 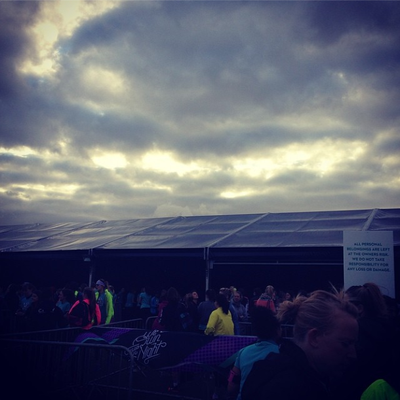 This wasn’t your typical organised run, but more akin to a park festival with thousands of women sporting the same turquoise Nike race shirt and setting off for a run together. Nike pulled out all the stops. There was music and even pre-race trainers who led a warm-up to keep up motivation on a chilly night. 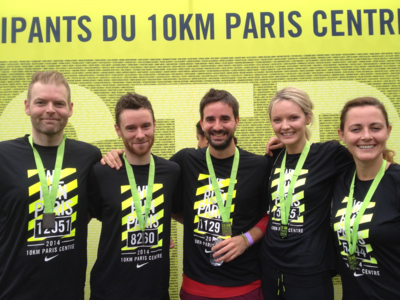 There were Nike athletes, including Paula Radcliffe, fashion designers, and DJs. The race course was like none other, complete with a light forest, light tunnels, live music, and thousands of women encouraging one another along the way. 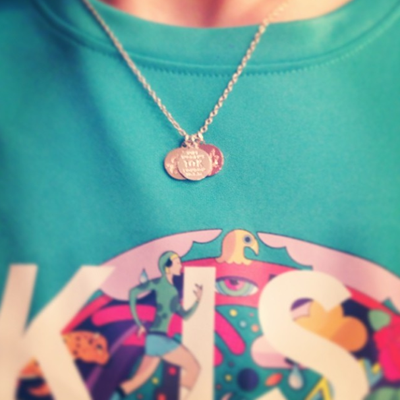 Everyone who crossed the finish line received an exclusive Alex Monroe designed finisher necklace, and I, for one, haven’t taken mine off since. Unfortunately, the wet weather meant that not many of us stuck around afterwards to enjoy the festivities. I think that means we’ll just have to do it again next year. A retrospective on week 1. It feels like spring might have finally sprung. Suddenly there's blossom on the trees, daffodils in the parks and on a positively balmy Sunday afternoon I spotted the first (perhaps premature) short and flip-flop combo of the season. Either way, it's good news folks. Warmer days and lighter nights are just around the corner. After a winter hibernating indoors, we thought it was about time to dust off the running gear and hit the pavement. 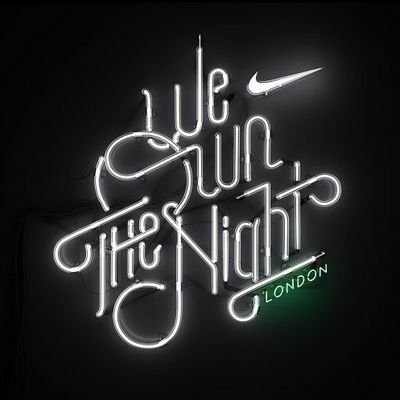 And so, brimming with the spring-like enthusiasm of new born lambs, the good ladies of W+K have decided to sign up to Nike's after dark 10k run, We Own the Night, which takes place in London on Saturday 10th May. 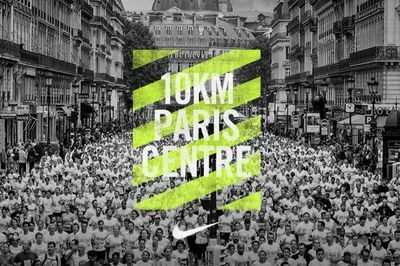 For most of us, it's our first proper 10k, but we're assured by Nike+ that there's a program that will take us from zero to hero in 8 weeks. 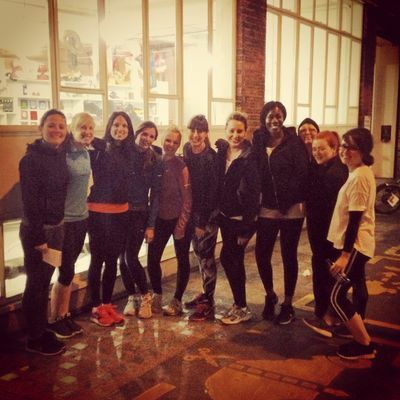 Last Wednesday night we kicked things off with an inaugural W+K Run Club. We had marathon runners, park joggers, beginners and everything in between. 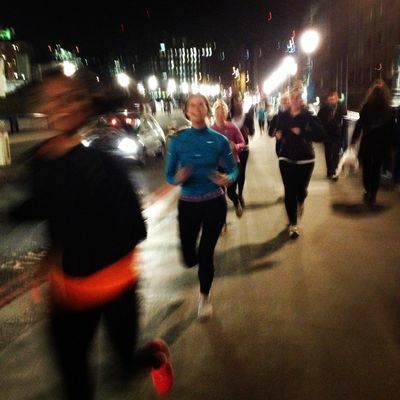 We ran in packs through Aldgate, past the Tower of London, over the Thames and back, with Brick lane curry touts shouting words of encouragement as we came down the home stretch. It all felt quite epic for your average Wednesday evening. We're all set for round two tonight, our numbers are growing and there's even rumour of an official W+K RC logo. Thank you ladies. See you same time, same place, a little later on. 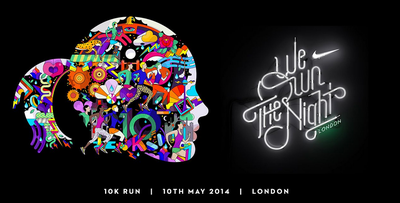 If anyone fancies joining us for We Own the Night, you can sign up here.